(4) live the dashboard: implement and renovate (chapters 12-14). This modular structure accommodates different levels of experience, urgency and firm situation. Managers who have not linked marketing to business performance are advised to read the full book, learning tips to collect the right data, assemble the team and gather support of their bosses and employees for the dashboard project. Readers with high urgency (due to company crises or tight deadlines) can jump to practical tips and checklists in the relevant chapters, eg to gather IT support (chapter 5). Managers unhappy with current performance measurement systems learn how the proposed solution compares to related tools and get concrete advice for improvement (chapters 2, and 12-14). Finally, the most savvy finance and marketing executives appreciate the value of the latest research on the ROI of social media (chapter 9) and in emerging markets (chapter 10). 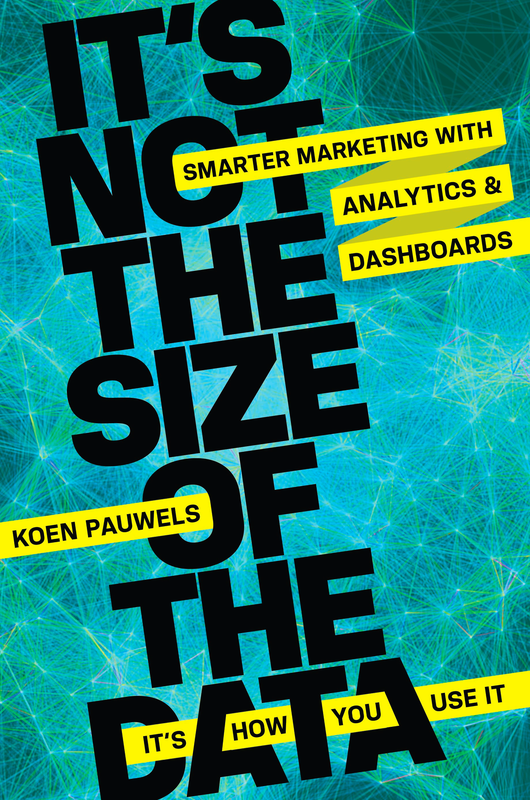 To check out the book, please go to “It’s Not the Size of the Data – It’s How You Use It” book webpage. To buy the book, please go to AMACOM webpage. To order the book in the U.S., please check either Amazon or BN. Please check McGraw-Hill for Europe.